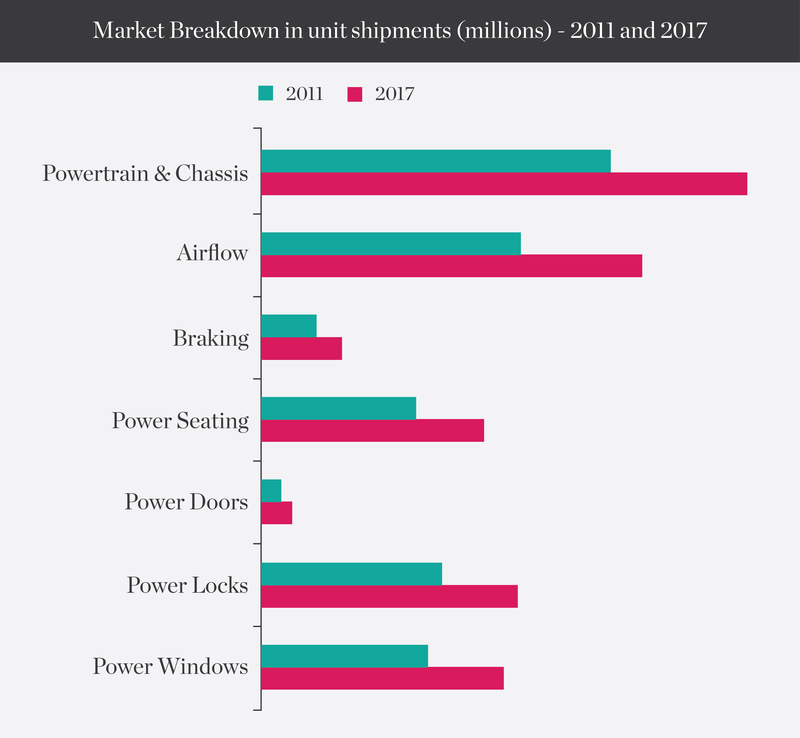 Power train and chassis generated the highest revenue and were accounted for 53% of market revenues in 2014. Market demand for adaptive headlights and door mirrors is increasing rapidly and presents a positive growth opportunity for motor manufacturers supplying motors for those applications. 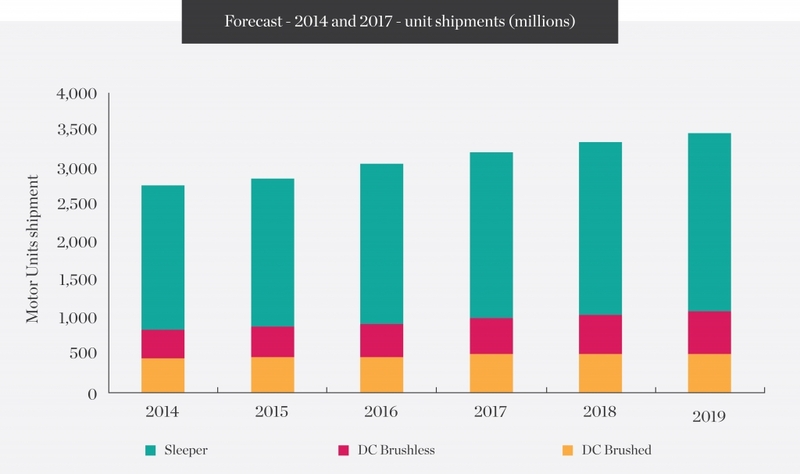 The worldwide revenue for electric motors in automotive applications is expected to increase to over $30 billion in 2019, up from $26 billion in 2014. In 2014, approximately 69.2% of electric motors in automotive applications were DC brushed and 13.8% were DC brushless.